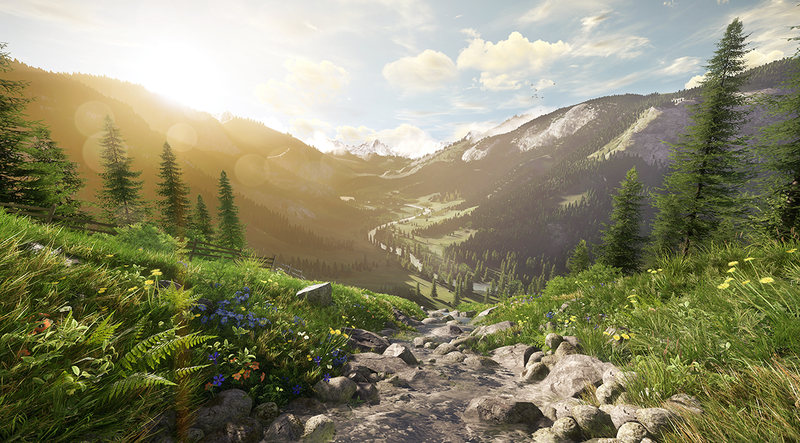 The new Lumberyard game engine launched by Amazon sure is something impressive. Professional game developers can make their dreams come true with this 3D game engine that will come at the same time with another product from Amazon: GameLift. While Lumberyard is a cross-platform game engine that will be available for free, GameLift will focus on providing backends for the deployment of multiplayer games based on sessions. The two have both been created by the Web Services division of Amazon. Their purpose is to allow game developers to build cloud-connected games which will be compatible with various platforms. Lumberyard can already be downloaded in beta. This can be considered a bold move from Amazon, taking into account the tough competition in the field that includes the Unreal Engine from Epic Games and Unity and Stingray from Autodesk. However, the company has its own perks such as AWS, mindshare and clout. Furthermore, few of you might know that Amazon has actually been involved in gaming since 2011 when it established an App Store for Android devices that contains numerous games among its applications. Later on, Amazon opened its own personal game studio named Amazon Game Studios. This was followed by the purchase of Double Helix Games, developed by Killer Instinct, and the purchase of Twitch, a company focusing on game livestreaming. Lumberyard will end up integrated with the Twitch video platform. Additionally, Lumberyard will also be equipped with two new integration features. JoinIn is meant for broadcasters that want to invite members of the audience to join them into the game. ChatPlay’s purpose is to create a collaborative and social gaming experience by making games respond to keywords used in the Twitch chat. The new game engine will be compatible with Windows 10, 8, 7 and Vista, Xbox One and PlayStation 4, but those will be joined in the future by virtual reality headsets and mobile devices. GameLift is expected to work alongside Lumberyard as a social tool. While Lumberyard itself is a free game engine, developers will have to pay for AWS services, for the daily active user and the EC2 cloud computing service from Amazon. The smart move from the company might attract new game developers. Whether the new Lumberyard game engine launched by Amazon will be successful or not remains to be seen.